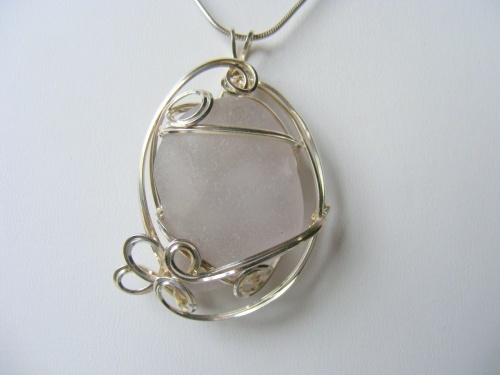 This pretty piece of authentic pastel mauve seaglass is entrancing because of its beauty. Sculpted in sterling silver curls, piece measures 1 7/8" long from top to bottom and 1 1/8" wide. Comes with a sterling silver snake chain.